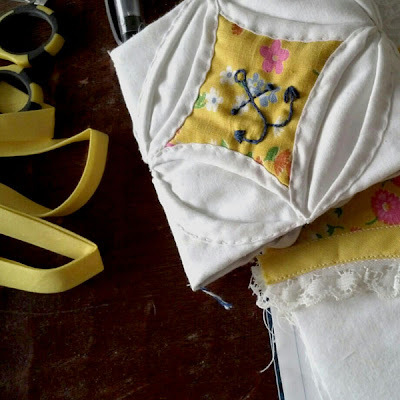 Okay, I started with this tutorial here on how to make a cathedral quilt block. AMAZING instructions, step by step pictures, just all around fabulous tutorial. I got lost in this blog forever and added it to my reader. You must go see for yourself, you will be glad you did! What ever did we do before Internet? So then I had this piece, and was not sure what to do with it. 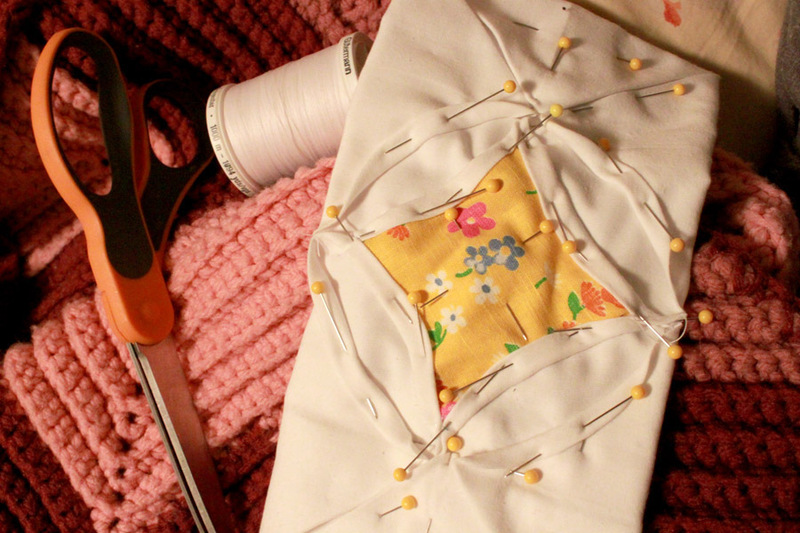 I didn't want to make a pincushion, seemed everyone had made a pincushion. Then after WAY to much coffee "Eureka"!! 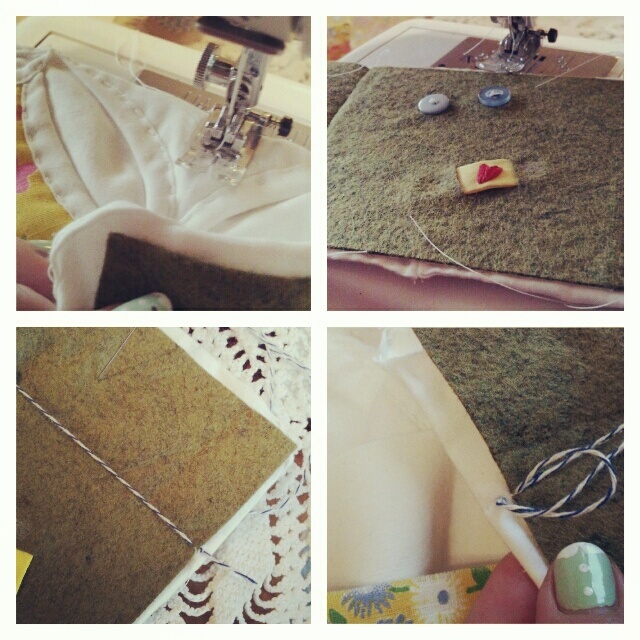 If I fold back each side it makes a little book! Yay! First I sewed all the edges of the 'window' openings down, and then embroidered an anchor in the center of my colored piece. I just free-handed a simple one right on the fabric with a pencil. Next I cut a piece of felt just slightly smaller than my finished block. This is the inside 'pages' of your book. 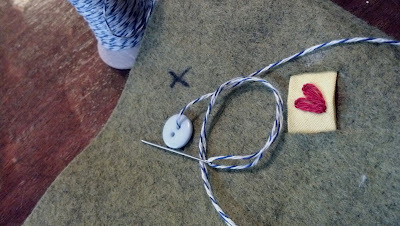 Now cut a thin piece of cardboard in a square to fit in the center of both the block and the felt piece. (i used a piece left over from the idea book). 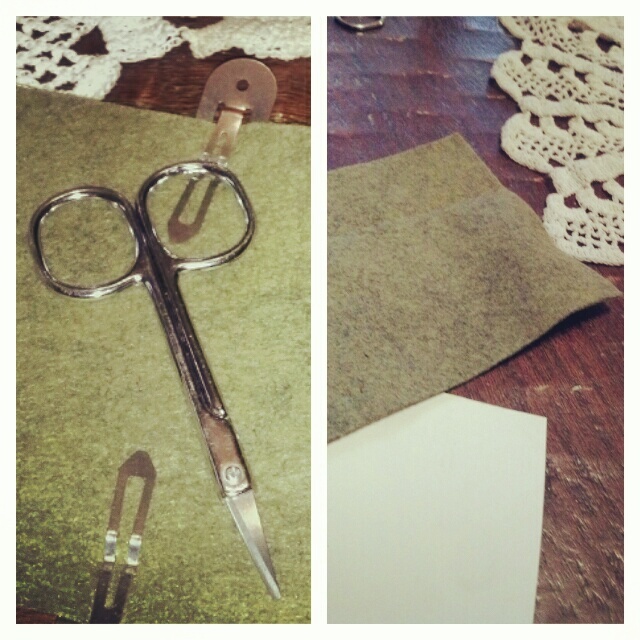 Using a small pair of scissors as a guide, mark the center of finger holes and either side of blades. 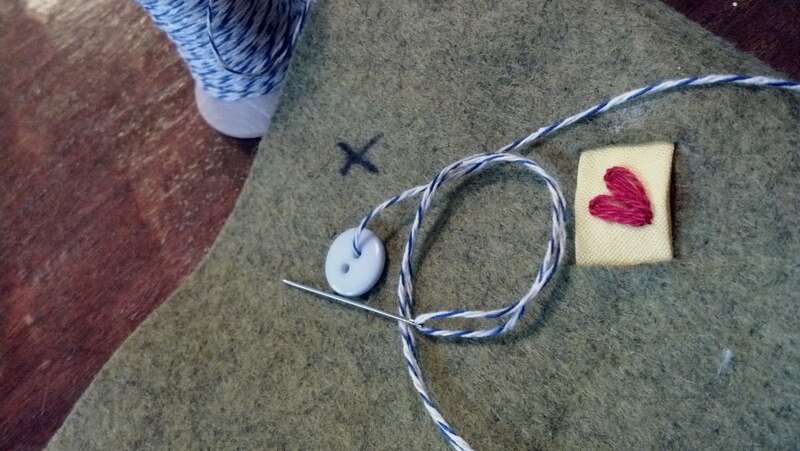 Sew small buttons in finger hole mark and clip on outside edge of blade markings. Cut a short piece of bias tape, and using a lazy daisy stitch, make a heart. You can skip this if you want, I just really enjoy the little details. 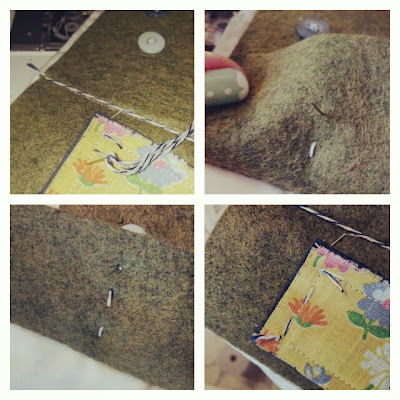 Slip each end of bias tape through the slits in the felt. Flip over and glue ends down to the back side. 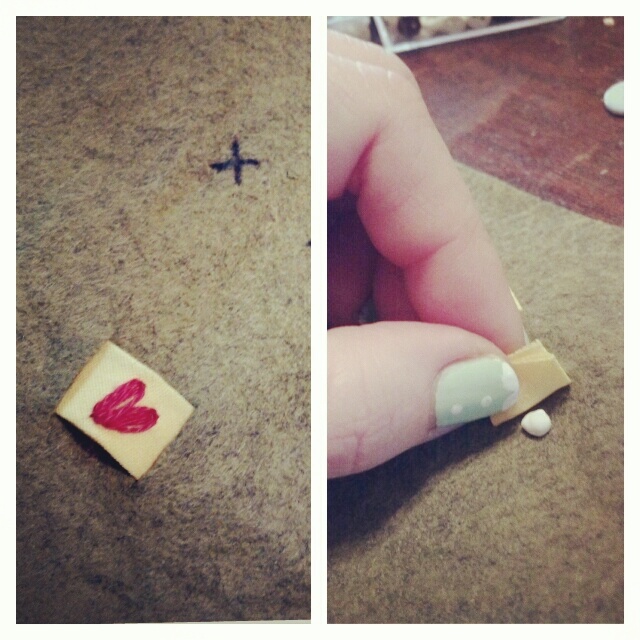 Now glue your cardboard to the center of your felt. Leaving equal parts free. These will stay free as your pages. Use something heavy to set on top to ensure a good even bond. 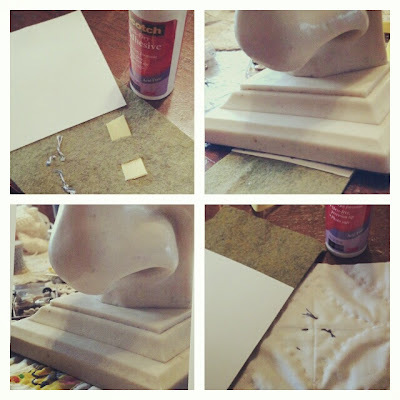 Yes, that is a marble statue of a nose ;) Next glue the cardboard and felt to the center of your cathedral block. Again using something heavy on top. Sew a seam on either side of your block center. 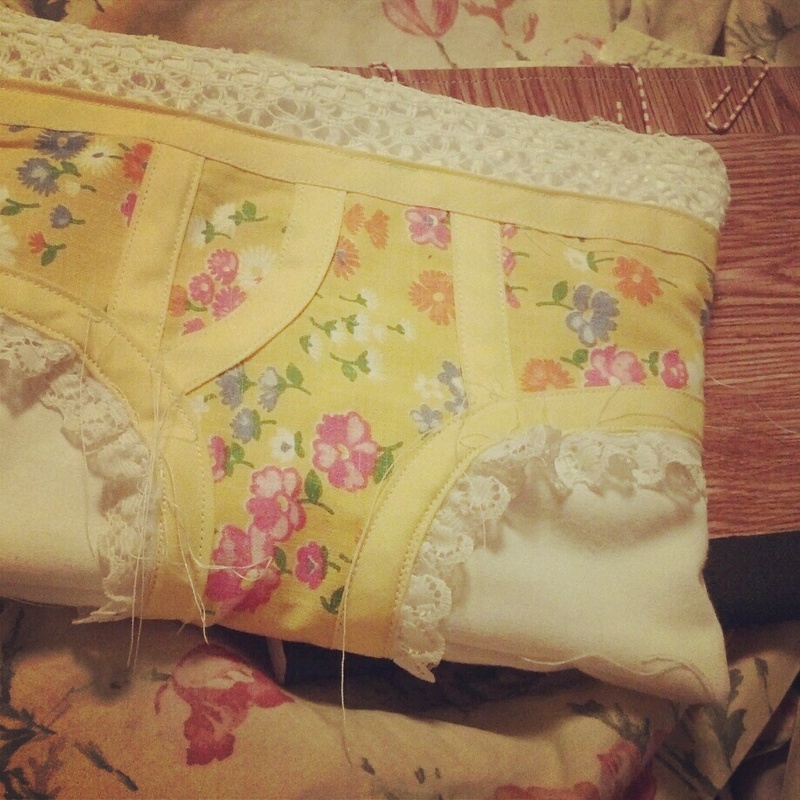 This allows for the flaps to fold back. On the inside I used some cute thread to do a long stitch across to cover the seam. 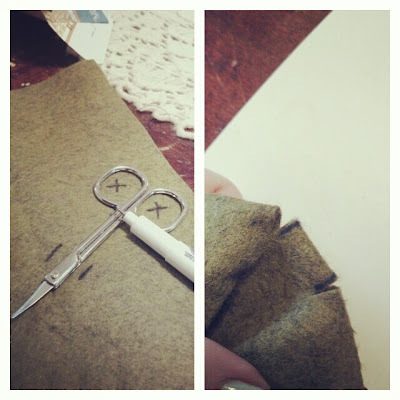 Cut a small scrap of fabric and a small scrap of felt . 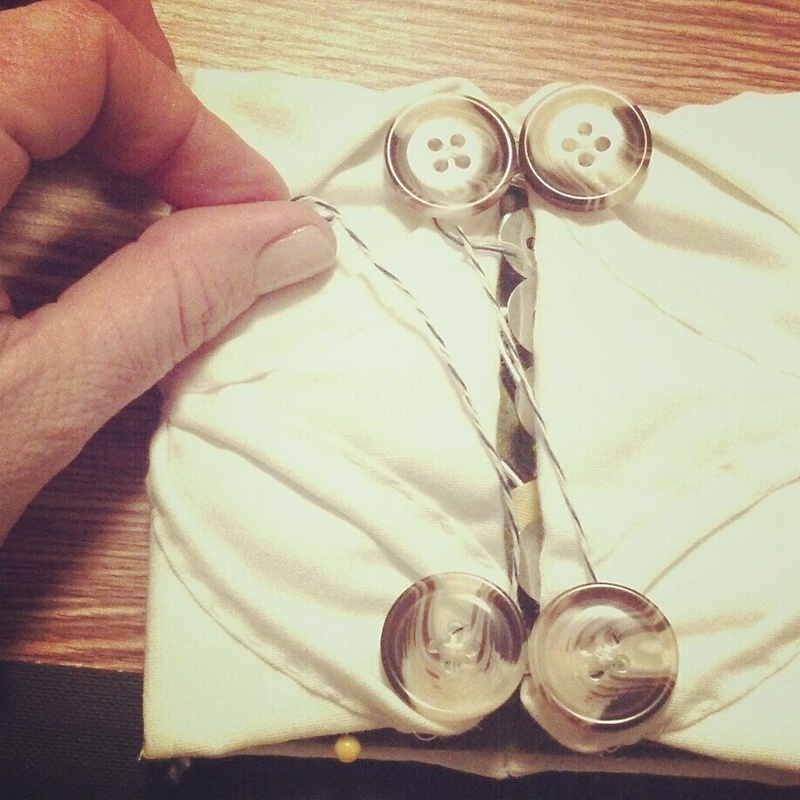 Sew the two together around the edges. Attach to the felt page by hand. Make sure your stitches are even on the back side as they will hold safety pins also!! 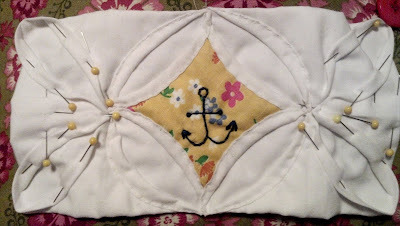 Last part, sew a button in each of the 4 corners of the edges of your original block. 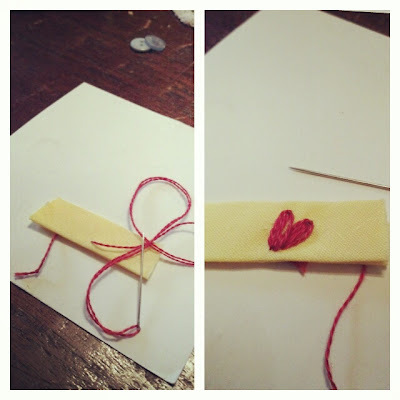 Tie a cute string to the top left corner. This is the closure for the kit. Now load her up with all your supplies and get to sewing!!! I think it would be cute too, to send to a friend as just a little pick me up! I couldn't of course stop there....oh no, no. 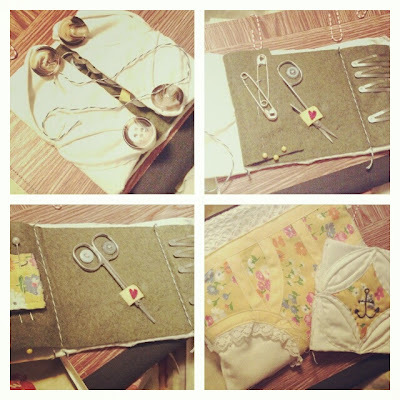 I had to make a pouch for it to go into too! !Lol, but that is another tutorial with a billion more pictures.